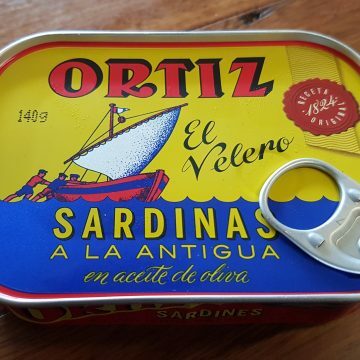 View cart “Ortiz Sardines” has been added to your cart. These exceptional sardines are prepared ‘a la Antigua’ – hand cleaned and slow cooked in virgin olive oil. The result is an exceptionally tender sardine. Enjoy these sardines with crackers, on a canapé or add to a fresh green salad. Or my favourite – on some crusty sourdough. 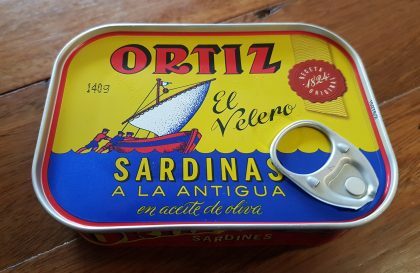 The Ortiz Sardines from northern Spain are one of those really amazing offerings that are sure to attract the attention of every little fish lover that tries them. These exceptional sardines are prepared ‘a la Antigua’ – hand cleaned and slow cooked in virgin olive oil. The result is an exceptionally tender and very mild sardine. Enjoy these sardines with crackers, on a canapé or add to a fresh green salad. 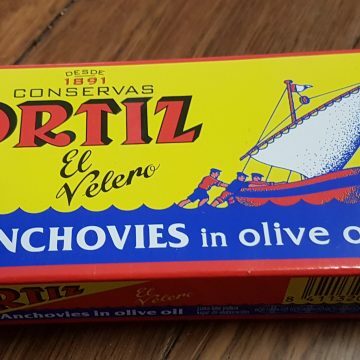 This sardines are packed in only virgin olive oil and salt, nothing else. The sardines can be stored for years, becoming more tender over time. Store in a cool, dark place such as a pantry. Refrigerate after opening.